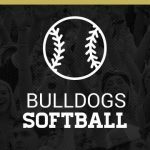 There will be a meeting for anyone interested in playing softball this year at Riverside Middle School immediately following the morning meeting on Wednesday, January 10th and at Pendleton High School during advisor period in Coach Ayers’s room, room B109, on Wednesday, January 10th. Email vayers@anderson4.org if you have any questions. Anyone interested in playing softball this year should contact Coach Ayers at vayers@anderson4.org for information and plan to attend our open practices this fall. 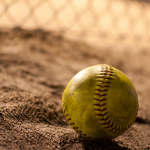 Click here for the fall softball practice schedule. 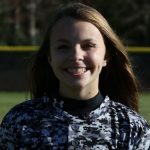 Bridget Barnes, an 8th grader, was the youngest player in the upstate’s Region 1-AAA to be named to the All-Region team. Barnes led the Lady Bulldogs with a .400 batting average in the region and was their starting shortstop. 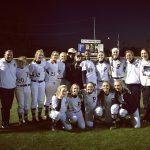 Wednesday, March 8, 2017 7:30 PM Pendleton High School AWAY 15 Powdersville High School HOME 2 Game Recap The JV Lady Bulldogs defeated Powdersville 15-2 on Wednesday after taking the lead late in the game. The game was tied at zero with Pendleton batting in the top of the second when a runner stole home. Tuesday, February 28, 2017 6:00 PM Pendleton High School AWAY 4 Berea High School HOME 6 Game Recap The Pendleton Bulldogs and The Berea Bulldogs passed the lead back-and-forth on Tuesday, but eventually, Berea prevailed 6-4. The game was tied at three with Berea batting in the bottom of the fourth when a runner scored.